EasyTouch is an assistive tool especially designed Android. It is a floating button(like AssistiveTouch for iPhone,ios) that you can move anywhere on your screen. It is fast, small, smooth and easy to use. It contains the Android system most used switches and all your installed apps. 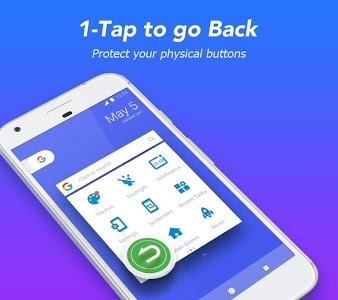 You can control your device or open your favorite app easily without exiting the app currently in use and it is easy to lock screen with one touch. All the functionalities are fast accessible just with a single touch. It remains floating on your screen and it is quick, easy, convenient and customizable. With a great variety of theme styles available. With a floating panel on the screen, you can easily operate your smartphone just like use iphone,ios systerm. It is very convenient to quickly access to all your favorite apps, games, settings and notifications. Over 80 million users choose us. 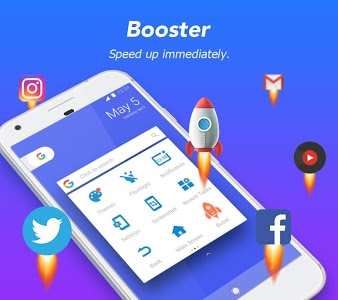 - Boosts your phone, frees up memory (RAM), speeds up your device and saves battery. - Tap Boost to make it easy to optimize directly from your home screen. - Three gestures are available to make your smartphone smarter! - The gesture function is very special in the apps market. - Get important messages and don't miss any updated notification. 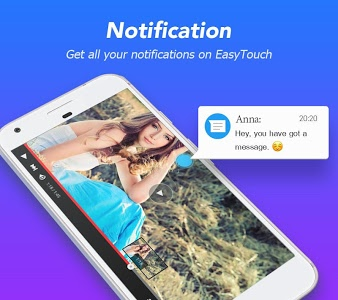 - With Easy Touch, you can easily operate your Android phone with just one touch. - Click on the icon to set your function mode in the small floating button. - Lock your phone screen quick to protect your privacy and data. 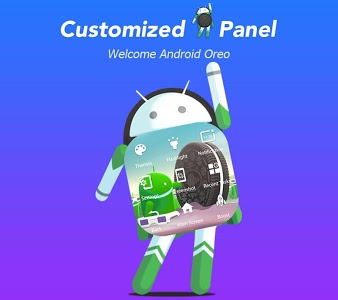 - Customize the unlock function with your own style. - Easy to lock screen. 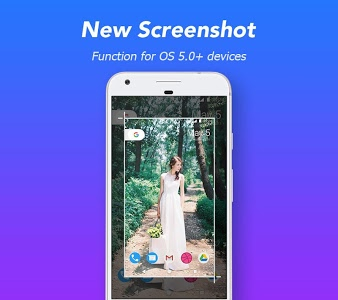 - Take screenhots & create your own Screenshot style. - The Weather Forecast (Location Authorization required) makes your life easier. 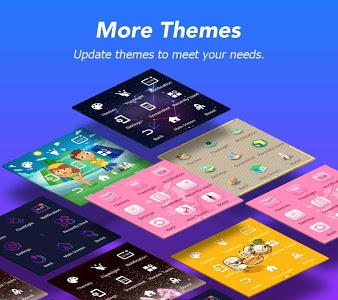 - Supports DIY theme & new themes are often updated. - Creative theme styles (Keep increasing). 1. How to set my Easy Touch panel? 2. How to edit the Assistive tool Easy Touch panel? Just long pressing on the blank space of the floating panel and you can make it. - BIND_DEVICE_ADMIN: Only used to lock device screen andturn off the screen of your device. - CAMERA: To turn on Flashlight and shortcut to snap photos. - ACCESS_FINE_LOCATION: Use your current location to give you exact weather report. - CALL_PHONE: Add contacts to Panel so you can make calls. - BIND_NOTIFICATION_LISTENER_SERVICE: It is convenient to get update notifications. 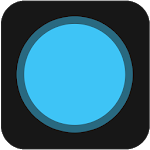 4.This app uses Accessibility services. 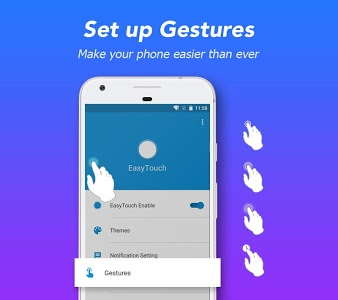 - For physical disabilities, EasyTouch provides powerful single hand features, you can use one hand to operate the phone, switch apps easily, replacing the navigation hard keys, which can hardly be controlled by one hand. 2.Adaptation problem and other bugs fixed. 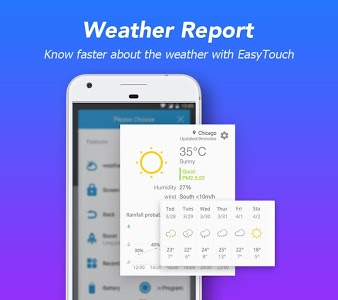 Similar to "EasyTouch - Assistive Touch Panel for Android"